Take control of the Eurocopter 135 police helicopter and experience the exciting career of a highly trained helicopter pilot. One of the key tasks in this role is to provide aerial surveillance to support and co-ordinate your colleagues on the ground. Success in these early missions is crucial to your career with the tasks becoming increasingly demanding as you hone and improve your skills. Successful completion of the missions earns you points which will improve your rank and unlock more exciting new missions. Duties include reconnaissance flights, VIP protection, and the pursuit of criminals on the ground from the air. This large and highly realistic game world provides exciting entertainment both day and night. Make your choice from the helicopter of the German Federal Police or a helicopter of the US military both having the appropriate liveries. 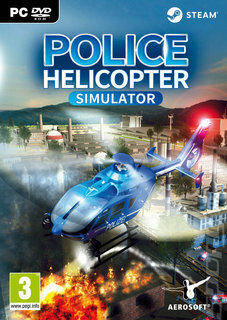 With over 20 different missions the game provides a realistic insight into the objectives of the police helicopter units.